It’s been a month marred by violence and disruption. In recent days we have witnessed the troubling arrests of alleged terrorists in Toronto and Montreal, the heinous Boston Marathon Bombing, a violent takeover robbery and double-shooting at a Toronto bank, the assault of a Port Coquitlam, BC security guard, and sexual assaults at a Toronto community college to name a few. Each of these incidents had (or would have had) an impact on the workplace. Recent events demonstrate all-too-clearly that violent incidents can and do occur in relation to almost every type of work situation. In many cases, including the most recent arrests of alleged terrorist plotters in Montreal and Toronto, an escalating pattern of aberrant behaviour is reported to have been exhibited by an alleged perpetrator within the workplace. 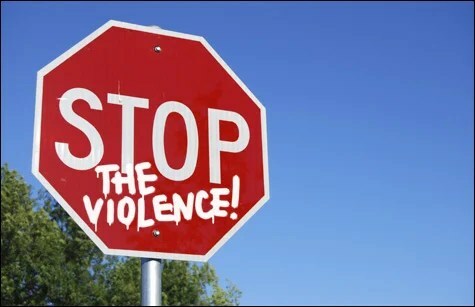 Prior to suffering a workplace violence occurrence, many employers believe that their workplace is immune to serious incidents of violence (i.e., “it can’t happen here!”) In many workplaces across Canada, workers are not trained or conditioned to identify the leading indicators (i.e., warning signs) of potential violence. How many times – after a domestic workplace violence incident, a work-related shooting, or workplace assault – has it been reported that a worker said, “I knew there was something wrong with that guy”, or “she had really changed recently and her behaviour was more and more bizarre”? The answer; far too many. providing clear guidance to supervisors/managers who receive reports of threatening or concerning workplace behaviour on how to address and follow up on each report. In addition to ensuring a safer workplace for employees, taking the above steps will also help the employer in meeting its regulatory compliance obligations under occupational health and safety legislation. Perhaps the most important and empowering step an employer can take with its employees is to help them identify the warning signs that may signal future acts of violence. In this regard, employees should follow the mantra, “If you see something say something”! report anyone tampering with surveillance cameras or entering unauthorized areas. The “If you see something say something” program was subsequently adopted by the United States Department of Homeland Security (“DHS”) in 2010 as a means of raising public awareness of terrorism-related crime and to foster reporting of suspicious activity or behaviour to local public authorities. The focus of the DHS program is substantially similar to that of the MTA but the DHS has integrated the awareness component (i.e., recognizing the “warning signs”) with standardized reporting and analysis tools to ensure that all reported behaviours and activities are evaluated and tracked. report activities that raise concerns about domestic violence entering the workplace. Along similar lines to the Department of Homeland Security, employers should not only train employees to recognize aberrant behaviours and other indicators of potential/actual violence, but should also develop protocols to “standardize how those observations are documented and analyzed” (DHS, 2010) to ensure that reports are followed up quickly and consistently.